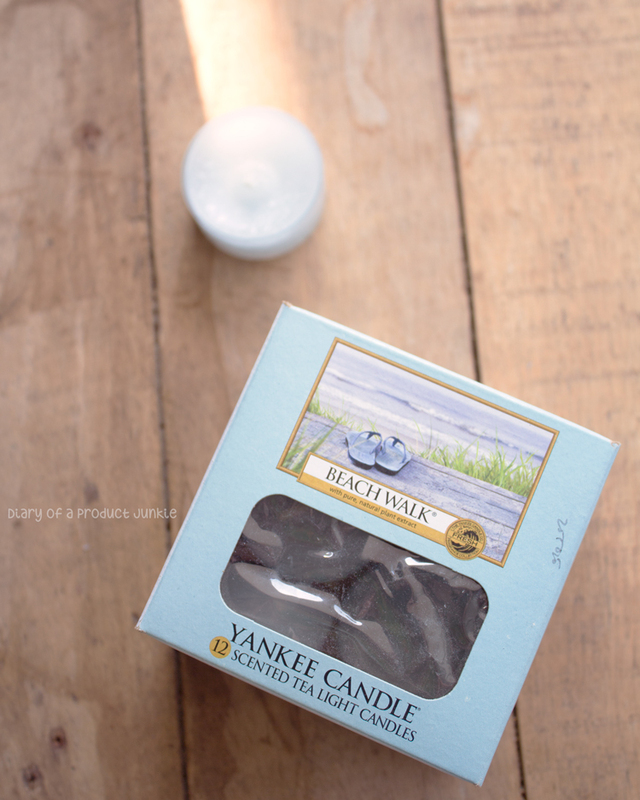 Hello, lovelies~ This time on Fragrance Friday, I am going to talk about my current favorite candle from an American brand, namely Yankee Candle. I bought them at ACE Hardware and this is one of the few candles that I like from them. The name is also one of the factors that made me buy it. 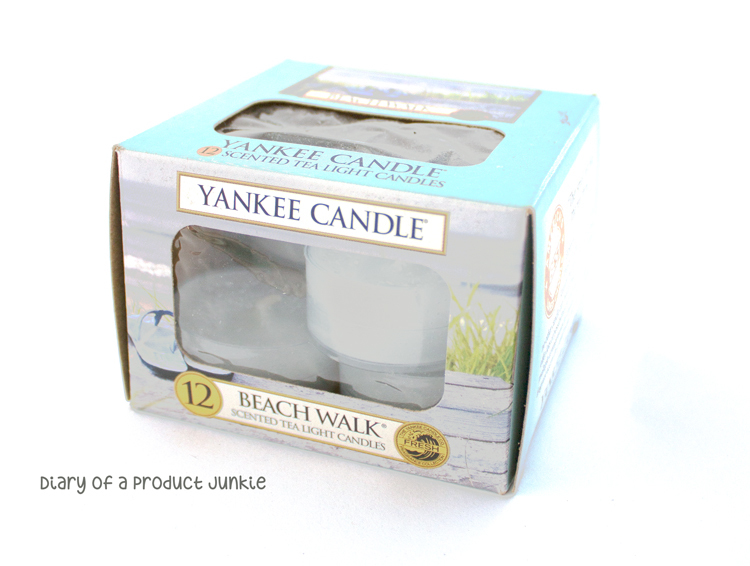 Although, come to think of it, kinda silly purchasing something that smells like the beach when I live near one, lol. But, hey, this doesn't come with the pollution-factory-scent, so that's always a plus. Okay, back to the review. I got the tea light candles because they didn't have the large one with the jar. It is a slight inconvenience, running out of them in such a short while. However, I can place this anywhere I want in my room at the same time, mwahahahaha! Now my room can smell like the beach, complete with its salty air. Why does that sound gross? I promise you that it doesn't smell as bad as I just mentioned. Honest. I've told you I have a bad descriptive skill when it comes to scents, right? Well, bad doesn't actually begin to explain the severity of said skill. Anyhoo~ When I first sniffed it at the store, I immediately thought of sandy beaches and iced lemon tea in my hand. There is a strong scent of 'saltiness' in the concoction, so definitely reminds me of the beach. If you're ever in the presence of this candle, give it a sniff. I loved most of the collection and combination of scents. It is on the pricier side when compared to the (ACE) home brand candles. © 2010 - 2014 Diary Of A Product Junkie (Stephanie Nangoi) All Rights Reserved.